KARACHI: People visiting the Pakistan Tehreek-e-Insaf’s Facebook page on Friday searched in vain after hackers took down more than 30 of their official pages from the social networking site. 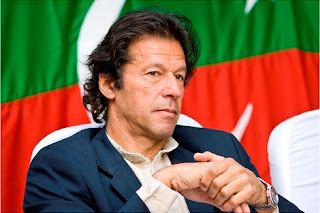 President of the Insaf Students Federation in Karachi, Arsalan Ghumman, told The Express Tribune that the official Facebook pages of PTI leader Imran Khan, the student wing Insaf Students Federation, and several, more including that of Dr Alvi were hacked into and hidden from the public’s eye. “The pages were hijacked at 3 pm on Friday. We are in touch with the Facebook authorities to recover them,” he said. The president said that they have an idea of who planned the attack, but said it was too early to make any accusations. “We are planning to hold a press conference soon, when we will tell you about the miscreants.” He said that they have a number of administrators on their Facebook pages, but do not suspect them. The party’s accounts on Twitter are safe.